There are times in life that you may face challenges and obstacles, but when you think of How great God is…your challenge or issue today will become smaller in your eyes when you Magnify God in your praise. There are days people act like they have nothing to be thankful for, but each day is a gift and we should not take each day for granted because it could be our very last day. If you knew you were going to die tomorrow, would you still give God praise or would you simply wallow in self-pity? What you do right now is just as important as what you did yesterday and what you will do tomorrow. Everything you do in life is important to God and that is why we must make room to Magnify the Lord in our daily walk. Look at where you are right now and ask yourself, did you give the Lord any thanks for what He has done in your day? If not, take a minute to give Him thanks right now, and I mean right NOW. I know of someone who was adamant that she would not believe in God and thought Christians were “Bible Thumpers” and yet she liked me ironically and enjoyed my company. She was struck with cancer last year and during the time she was away I would call her every now and then to chat with her and check on her even though I was going through my own trial with being laid off without a job etc, and she knew I was a Christian, but she saw me as a “different type” of Christian and yet still refused to acknowledge God. Even though she was stubborn about it, I still prayed for her. Sometimes, when we talk about God, not everyone is willing to accept Him, but the point is, our job is to share about Him anyway. She revealed a lot to me concerning her family issues and her bitterness and finished with Chemotherapy a few months ago last year. She was making plans to return back to work, however, today, I heard sad news that this same lady passed away. I pray that she found the Lord before her time was up because I knew where she stood concerning the message of salvation, and she did not seem interested to hear the Good news even though it was shared with her. Life was like a flickering flame for her and she did not know, that her time to choose was about to burn out. We cannot walk around presumptuously thinking “I have all the time in the world”....Are you really sure of that????? Sometimes we are too busy making other plans in our lives that we can’t seem to see that God is important and we need to make time for GOD in our lives. If people can’t tell where you stand by just looking at you, then something is out of alignment. Take a look in the mirror my friend and tell me what you see? If Christ isn’t in you…what or who is? How can we be lights to the world, if we are dim in our convictions towards our salvation and our belief in Christ Jesus? How will the world know of Him if you are too busy trying to hide Him from others? Or are you simply hiding from Christ yourself? If you are ashamed of Jesus, Jesus says He too will be ashamed of us. For if Christ is in you, the shame you exhibit falls upon the Christ that is inside of you. Do not be ashamed of Who you are in Christ, rather Fear Him and remember, the light in you guides all our disconnected brothers and sisters back to Jesus. Today, focus on what is important and seek to increase that flame of passion in you today. Magnify God in your life by what you say and do and seek to make Him a priority in your life. 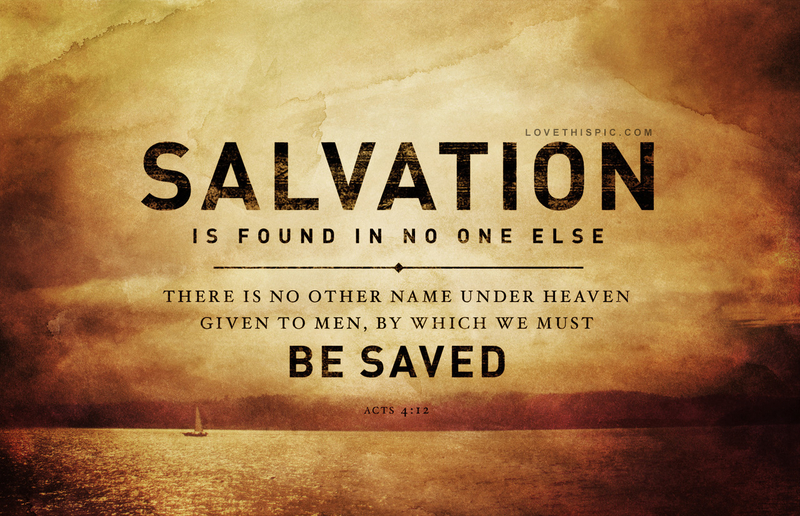 Make His name famous by living out what you believe out loud so that those that never knew Him can hear His name and call upon it so that they too can be saved. We are life lines to those walking in the wrong direction so seek to be the lighthouse that guides people back to the Heart of the Father, Amen! Today, be blessed by this song called “How Great Thou Art” by StikYard. I guarantee that this presentation will bless you.